Supermodel Alessandra Ambrosio is the poster woman for shiny, voluminous hair. For a while we thought that maybe great hair simply ran in her Brazilian genes. Or maybe her luscious locks were the result of years of Victoria's Secret styling—we weren't sure. All we knew was that her hair constantly looked strong, bouncy, and healthy. According to Ambrosio, though, her hair hasn't always been healthy or well-behaved at all. Recently she opened up to Us Weekly about her hair and all of the damage it went through due to her modeling work. "After years of blowdrying, teasing and doing all kinds of things to my hair, all I want is for it to be healthy," Ambrosio said. "People were trying to style my hair and it wouldn't even take it because it was so worn out." So how exactly did she replenish her damaged strands? Apparently, she has a haircut, a specific line of haircare products, and some DIY hair masques to thank. Keep reading to learn more details about Alessandra Ambrosio's haircare routine. First up, a haircut was necessary. Ambrosio says cutting off the worst of the damage was key. "There was a time where I cut my hair shorter because it was so dead on the ends and had no life," she said. "I decided to cut it and make it shorter and I loved it, but now it's long again and I love that too." Regular haircuts are important, since they reduce breakage, and bring bounce and texture back to damaged strands. If you cringe at the thought of cutting off even an inch or two of your length, channel Ambrosio's positive attitude. "I think it's fun to experiment with hair. If I have my picture taken with the same hairstyle, it gets boring. It's always fun to do something different." After a haircut did away with the worst of her damage, Ambrosio turned to her favorite haircare line, Marajó. She loves their products so much that she's partnered up with the brand, appearing in ad campaigns. "My friends at home have healthy hair because they don't put theirs through the stress that mine goes through," she said. I need to have the best product to bring it back to life and that's what Marajó does." One of her favorite products is the Nourishing Cleansing Crème ($29). It's a gentle cream cleanser with pracaxi oil, which is sourced from the Brazilian Amazon. "It really helps because it doesn't have detergents that regular shampoo has," she said. As for the final step in her hair rejuvenation plan, Ambrosio turned to her Brazilian roots. "Growing up in Brazil, we didn't have all these amazing products back then," she shared. "My mom would get avocados and natural oils and mix it together and put it in my hair. I loved doing it because it was mother, daughter time and I felt like I was in a salon." We love at-home hair masques, especially those that include avocado, which is why we always keep a number of different DIY hair masque recipes on hand. After all, the vitamins and fatty acids in avocado are super nourishing to the hair cuticle. 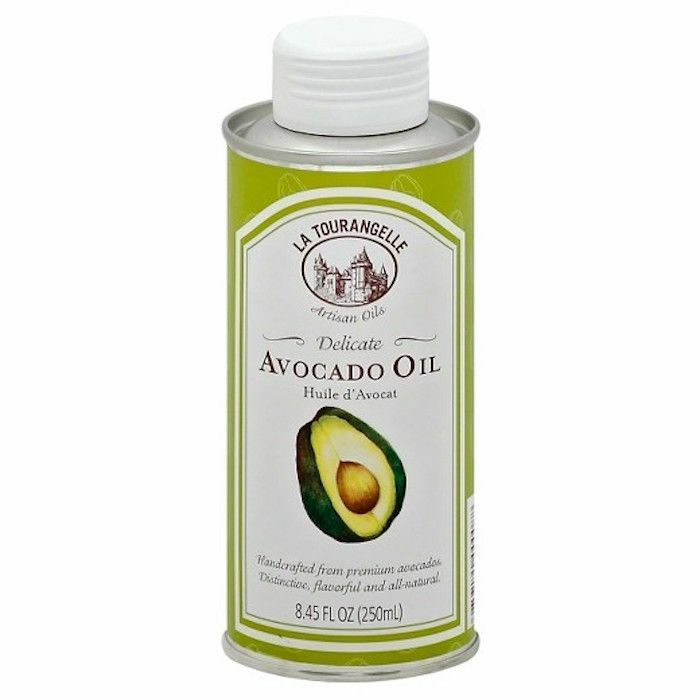 (If you don't want to deal with peeling and mashing a whole avocado, try applying avocado oil to your hair, which is less messy and a little bit easier to shampoo out). Ambrosio still makes these DIY masques today. She also makes sure to include her 9-year-old daughter, Anja, in her haircare routine, just like her mother did for her. "She likes when I do hairstyles on her," Ambrosio said. "I'll put the Treatment Butter ($29) on her hair and then do a braid and put it up." Head over to Us Weekly to read the full article. Then, read about the crazy-popular vegan and cruelty-free makeup brand that's coming to Ulta.